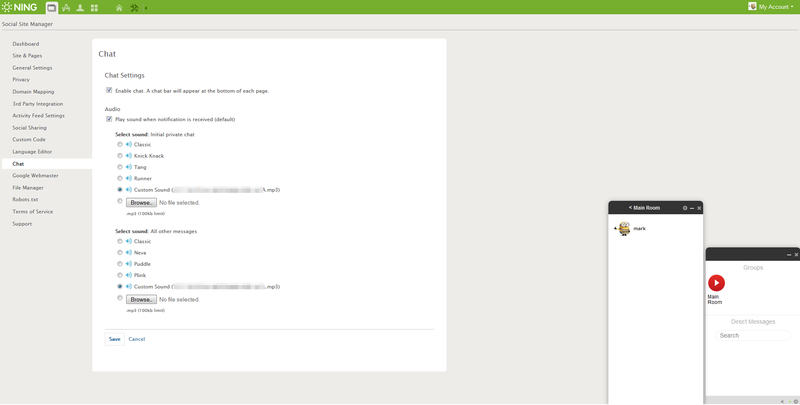 By default, your Chat will be enabled, and displayed in the collapsed view in the bottom right corner of the page. You do not need to enable it separately – it will be created along with your network. To customize your Chat, check out the Chat Settings. The Chat bar location is fixed, and whenever you would like to communicate with the members of your network, all you have to do is simply expand it. Also, you can select the preferred sound, or even add your own one to receive notifications or messages in the most comfortable manner. Make sure to save your changes. Additionally, both you and other chat members can turn sounds on or off. 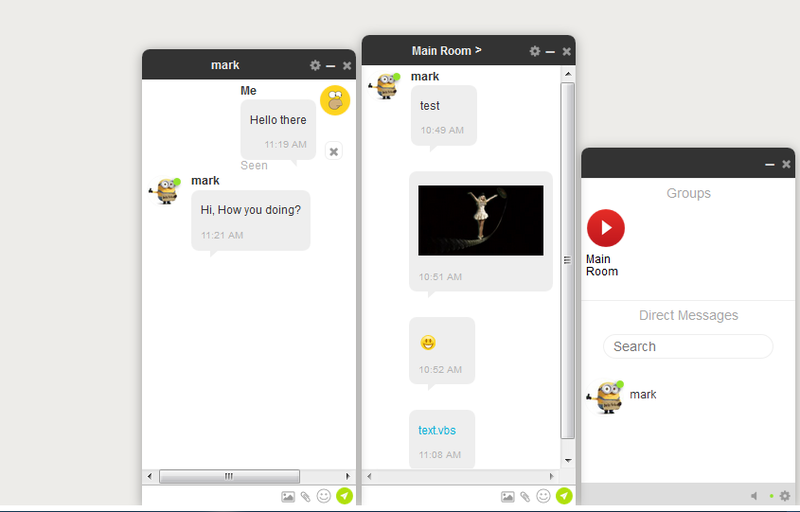 This Chat allows you to customize the appearance and the language that appears in the chat window. You can also filter out inappropriate language. Changes that you make to your network’s appearance will be applied to your Chat as well. In this version, the message counter is available for you to improve your user experience. 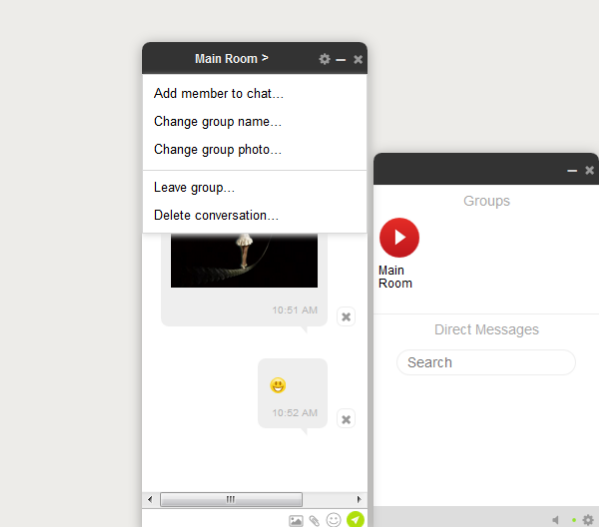 Look at the picture to see how this feature will be displayed in your chat bar. As the Network Creator, you can also change the name of your group, add photos, delete, add, and even block the members of your group. To rename your group or change a photo, please choose the necessary option in the chat bar of your group. To delete, add or block some members of your group, or delete the entire conversation, choose the needed option in the private chat of a certain user. NB: You can delete your private messages, and suspend members from the Chat, as deemed necessary. To delete a message, hover over the right side of the message and click on the “x” that appears. If a member needs to block messages from a particular member of the network, he or she can hover over the member’s name, and then choose “Ignore” from the drop-down menu that appears. You also have the opportunity to send files. To send some document or picture, click ‘Add file’ button at the bottom of the chat bar. 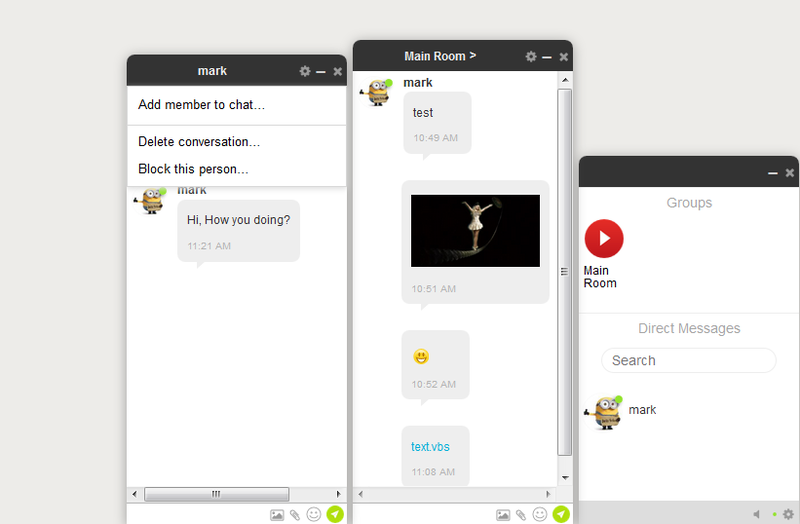 To use Chat on your Ning Network, either click on the name of the Ning Network to make it expand on your page, or click the “pop out” button to open it in a new window. These feature upgrade is available for both Ning 3.0 and 2.0 platforms. If you need help, please feel free to contact us via email support@ning.com, or through live chat.